and the theme is….birds. I did sort of a cute headband with a hummingbird on it. I hope you like, it’s out in the store now, only $75L, here’s a teleport. 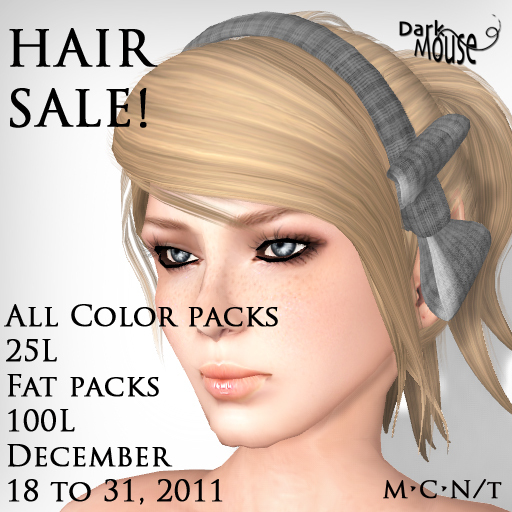 Dark Mouse Hair Sale and FREE STUFF! Hi there, I’m having a sale on my hair as a holiday special – $25L for a color pack and $100L for a fat pack. 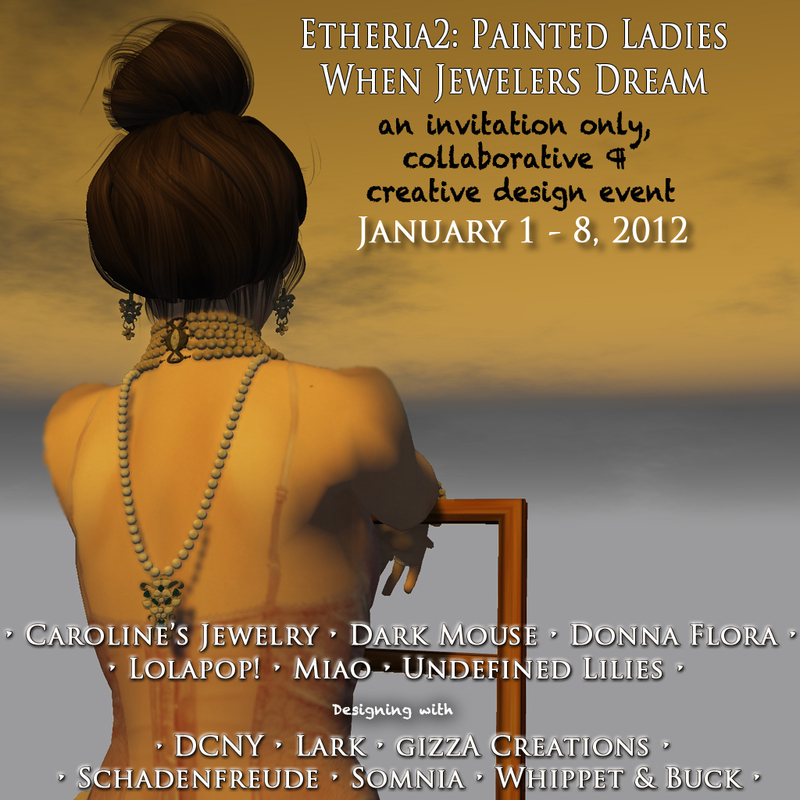 Many styles, come check it out. I marked at least 3 of the hair packs at $0L, so if you take a look around you’ll probably find them! And if you’re looking for a great deal, check out my numerous gatchas and lucky boards! Merry Christmas and Happy Holidays! Click this link for a teleport directly to the store!